Older male gentleman who visited saying his “teeth have gotten shorter over the years”. 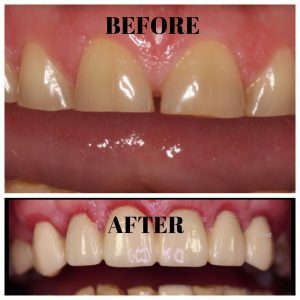 After discovering that this patient ground his teeth at night and has worn his teeth down significantly, patient wanted to do something to restore his natural smile. Now, he and especially his wife are really happy!